Farvi Wadhwa did her Bachelors in English Honors and Masters in Mass Comm Journalism. She also did a Diploma in Event Management. 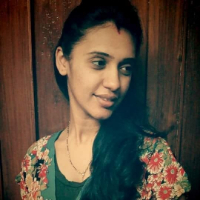 She has worked with various firms like Youth Eye, Buzzintown.com, Pune Mirror, Mumbai Mirror, DNA, Times of India as a journalist or content writer. She is Managing Editor at Wedding Vows and Features Writer with Doon Page-3 magazine. Lifestyle journalism is an umbrella term for more specialized beats of journalism such as travel journalism, fashion journalism, or food journalism. "I did Bachelors in English Honors and Masters in Mass Comm Journalism. I also did a Diploma in Event Management. I have worked with various firms like Youth Eye, Buzzintown.com, Pune Mirror, Mumbai Mirror, DNA, Times of India as a journalist or content writer. I am Managing Editor at Wedding Vows and Features Writer with Doon Page-3 magazine."